(Entry was posted by Vangelis Kovaios on this post in the Dumb SEO Questions community on Facebook, Thursday, April 23, 2015). 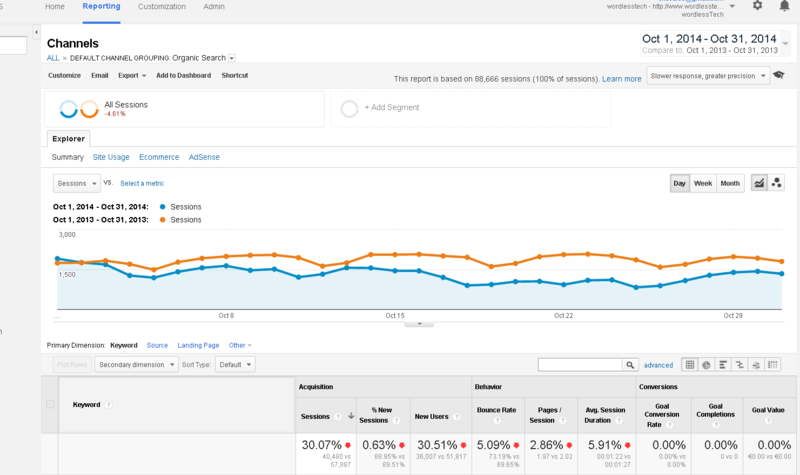 After September 2014, a website i collaborate with (wordlesstech.com), has started dropping in organic traffic between 30-50% in YoY comparison (http://screencast.com/t/pGx6uTIhvsre) and this drop continues until today. I have checked at webmaster tools and there are no indications of manual actions. During that time range (October 2014) Google rolled out several updates such as Panda 4.1, Google News and Penguin 3. Could you help me diagnose if the website got hit by any of these updates, and if not, what else could be the reason for this drop? After September 2014, a website i collaborate with (), has started dropping in organic traffic between 30-50% in YoY comparison () and this drop continues until today. During that time range ; (October 2014) Google rolled out several updates such as Panda 4.1, Google News and Penguin 3. 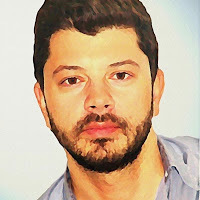 Vangelis Kovaios: PS:I` ve also noindexed all "tag" pages according to your recommendation. 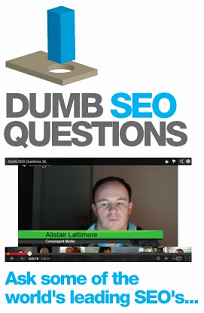 View original question in the Dumb SEO Questions community on G+, Thursday, April 23, 2015).